You spend a lot of time and energy deciding when to enter trades. Why not make the process of exiting trades easier and more precise? 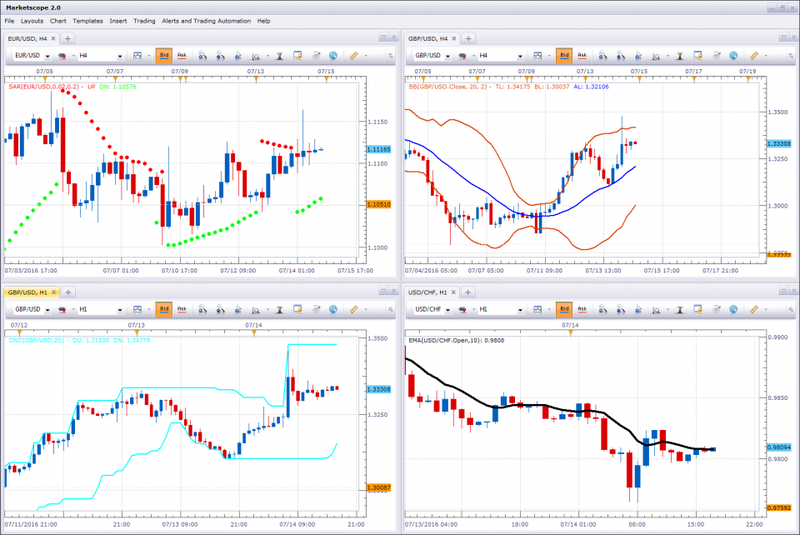 We’ve bundled our best trailing stop apps allowing you to exit positions using your favorite strategy. The Donchian Channel Trailing Stop is a custom money management strategy that adjusts an existing stop or creates a new stop (if none exists) based on the Donchian Channel upper and lower band levels. SAR Trailing Stop is a custom money management strategy for Trading Station that adjusts an existing stop or creates a new stop (if none exists) in real time using the Parabolic SAR (Stop and Reverse) indicator as a reference. Many traders turn to Bollinger Bands to help decide where to manually place stop orders for their positions. But with the BB Trailing Stop strategy, stops are automatically created/adjusted for you based on Bollinger Band levels in real time. Note: Multiple trailing stop apps can run simultaneously on a single account, but each trade ticket can support only a single trailing stop app.